I have worked, for over 20 years, beside two real estate offices and interacted with a plethora of agents. My husband and I are extremely thankful for the decision made to choose and entrust the sale of our Kelowna home to Scott Jennings. Scott is a Godsend. He was patient, dedicated and prompt in responding to our questions. Being very personable, fun and highly respectful, Scott's proven knowledgeable background, expertise and attuned professional skills, stream-lined the sale. Unequivocally, Scott Jennings and his team are excellent and in a class above the rest! Scott Jennings was a pleasure to work with as a first time home buyer. He is very personable and knowledgeable and was happy to answer all my questions. He took the time to help me find THE perfect condo, even driving to Kamloops for the forclosure court date. Simply the best in the biz! 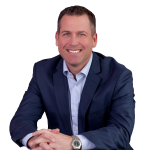 I would highly recommend Scott Jennings to anyone who is looking to sell or buy a home within Kelowna and surrounding areas. Scott is an excellent communicator and is always very prompt in his response. Scott's attention to detail was greatly appreciated as he spotted a few areas of concern in the home we were purchasing that we would have otherwise missed! If you want an overall great experience, look no further - you must choose Scott! Scott was great to work with. We were first time home buyers moving from out of town and only had a few weeks here to find a home. He worked around our schedule, always made time and set things up last minute. While looking at houses he was super helpful pointing things out or asking questions that, as first time home buyers, we would have never thought of. We love our new home and don’t plan on moving anytime soon but when we do, Scott will be our guy. Scott J is an absolute pleasure to be around when trying to find your dream home or even a nice rental property. We recently purchased a townhouse with Scott and it went very smoothly. He takes his time with everything and makes sure it is exactly what you want. Always does his research on the property and helps you get a better understanding of what you need to know when purchasing. Once you do make a purchase Scott will sit down with you and make sure you understand what is happening and what’s going to happen next. He also explains a lot of the stuff other realtors skip over just to make a sale. Any questions are answered promptly and if he can’t answer your question for whatever reason he will find someone who will. Hands down in my opinion the best of the best! Definitely highly recommend You think about hiring Scott the next time you are thinking about buying a house in the Okanagan.